A lavender Crown Flower in full bloom shows its namesake, a raised crown in the center of five petals. The flower is known for being long-lasting and is used in arrangements and lei. It has been said that Queen Liliuokalani considered the flowers to be royal and used them to string lei herself. 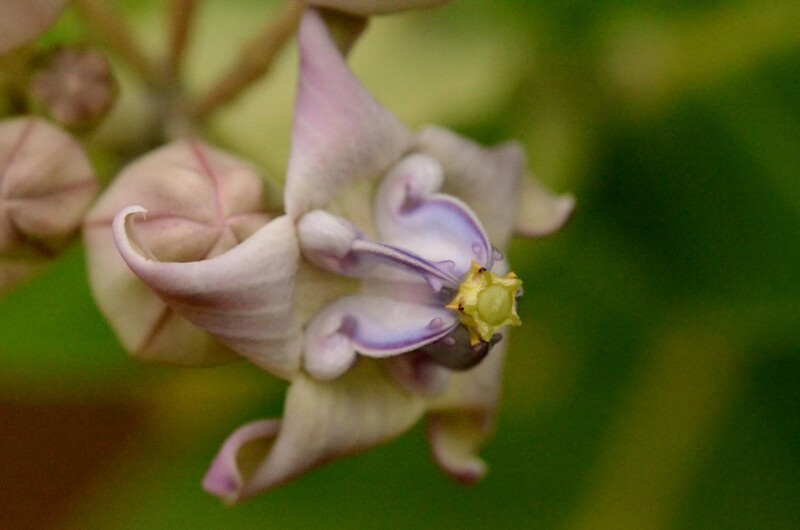 The Crown Flower, Calotropis gigantea, is a beautiful non-native addition to Hawaii’s flowers.